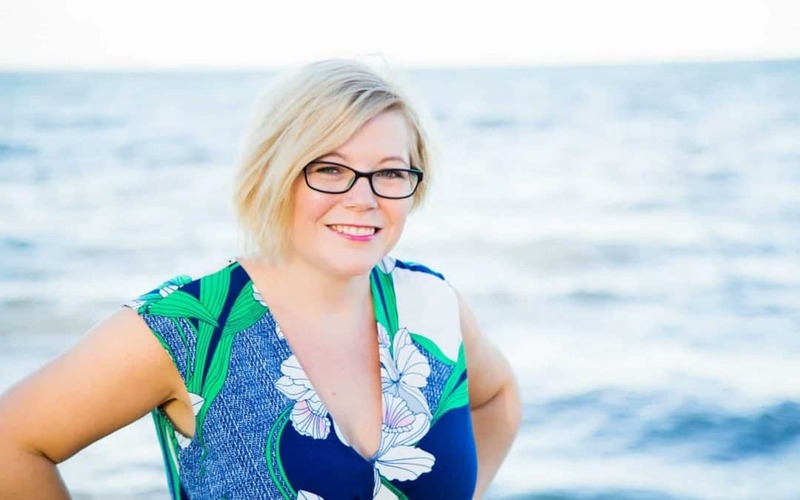 Want to get to know the Founder and Editor of Smart Steps to Australia a little better? Here’s five minutes of quick-fire questions with Karen Bleakley. Did you always want to move to Australia? Weirdly, I did always imagine myself living here. When I was little, I remember seeing Australia on the TV and thinking it looked like a cool place to go. Then Neighbours and Home and Away came out and I knew I wanted to visit! I used to watch them every night and dream about living in Summer Bay. I always had it at the back of my mind that I might really live in Australia one day. When my husband and I went backpacking in 2008, we both knew we’d either fall in love with New Zealand or Australia. Australia won as NZ was a bit too cold for us! Where have you lived around the world? Up until we moved to Australia, I’d only lived in the UK. I’ve lived in a few different places there though. I was born in Sheffield and moved to Lincolnshire when I was a baby. I went off to study near Manchester when I turned 18, and then spent five years living in Sheffield before moving to Chichester and then on to Fareham near Portsmouth. Which countries have you travelled to? In Australia we’ve travelled from Sydney to Port Douglas, we’ve visited Uluru and we’ve travelled from Broome down the south west but there is still so much to explore here. Neither – I’m a day person! I go through phases of making myself get up early and I love it when I can get into the routine. But then every time sick kids or a bad sleep phase from one of the kids kicks off and I’m back to struggling to wake up in the mornings again. I’m useless at staying up late – I need a full eight hours of sleep to fully function so I love getting an early night. I’m at my most productive during the daytime! What made you choose Brisbane? We didn’t visit Brisbane when we were backpacking – we drove right through from the Gold Coast to the Sunshine Coast without stopping. We thought we’d actually move to Perth as I had relatives there so that was where we focused on exploring. When we came to plan our move, we realised there were more work opportunities for my husband in Brisbane, plus house prices were a little cheaper, the weather was still amazing and it was surrounded by lots of places for day trips and holidays. The big reason we chose Brisbane was that we had a strong work contact in my husband’s industry here. Our heart was taking us to Australia so our heads ruled the decision about the best place for us to move. It was 100% the right decision for us, and within a month my husband had a casual job that turned into a permanent role. We love living here so from a lifestyle point of view it offers us everything we’d hoped it would! Do you prefer the beach, mountain or rainforest? The beach! Always. Although ironically when it came to buying our house, we ended up compromising on the beach and moving ten minutes inland to get a bigger plot and a pool as we fell in love with a house. What food do you miss from the UK? I love fish and chips, but we have a few great local British chippies here (one in North Lakes, one south of Brisbane and one on the Sunshine Coast) so I’ve been pretty well catered for there. A good British curry is something I miss. I love Aussie food. I enjoy the healthy, hearty breakfasts in beachside cafes so there are loads of options for that here, and the coffee is amazing. And Thai is one of my favourites and there are so many great Thai places in Australia. So rather than missing things, I tend to appreciate what I’ve gained from moving here. I love all of the alcohol-free options here too since I’ve cut right back on drinking. Bundaberg coconut and pineapple is one of my all time favourite drinks! My hubby isn’t so easy going though – he would say that he misses ham, sausages, bacon, gammon (weirdly lots of pork products! ), chocolate, fizzy drinks (like Cherry Coke and Dr Pepper) and all kinds of things. When we go back for a visit he is going to eat non-stop and fill our cases with food! Who are your favourite bands and do you miss live music in Australia? I’ve always been an indie guitar music type of gal. Manic Street Preachers, Stereophonics, Ash, Jimmy Eat World. In the UK, we’d go to live gigs all the time. My taste has mellowed a bit lately and my new loves are Walk the Moon, Dean Lewis, Shawn Mendes, 5 Seconds of Summer and Vance Joy (the song ‘Riptide’ is basically an Aussie institution!). I’ve been so excited to discover that Brisbane has some incredible music venues (The Triffid and The Tivoli are my personal favourites). We’ve seen lots of bands since we arrived – so many UK and US bands tour Australia! I don’t feel like we’re missing out at all. Plus I’m loving a lot of Australian bands too. We’ve seen the Stereophonics, Ash, Biffy Clyro, Bryan Adams, Walk the Moon, the Levellers and so many others since we moved here. The only problem is that tickets are quite expensive here! What is your favourite places in Australia? There are so many places that I love in different ways – it’s impossible to pick just one. The Whitsunday Islands are incredible – we visited on a tall ship while backpacking and it was such a fun experience. We had such a brilliant time with the kids at O’Reilly’s in the Gold Coast Hinterland. Then there is Moreton Island and Fraser Island which were both great for family holidays. Exmouth in WA will always stand out as one of my all-time favourites places though as we got out to enjoy the national park, watched turtles coming in to lay eggs and did some amazing star gazing and it was a place we really felt connected to the environment around us. I really want to take the kids to explore WA one day. Noosa and Byron Bay are both places not too far from our home that I adore (one day, we’d love to live in Noosa!). And there are so many places we haven’t even been yet. I just love Australia as a travel destination! What places in Australia are on your hit list to visit? Oh there are so many. I really want to plan a trip to do the Dinosaur Trail up around Winton in Outback Queensland. My sons are obsessed with dinosaurs so I know they will get so much out of it. But it’s quite a long trip from Brisbane so needs some planning and we need to get saving for it! My husband and I are a bit obsessed with white beaches, so visiting Hyams Beach and the surrounding area is up there for us. We’ve also never been to Melbourne, Adelaide, Canberra or Darwin yet. We haven’t done the Great Ocean Road yet either. There are so many places on our hit list! I’d also love to go to the snow too as our daughter can’t remember what snow is like (she had only just turned two when we moved). Not to mention the Keeling Islands which just look beyond stunning! 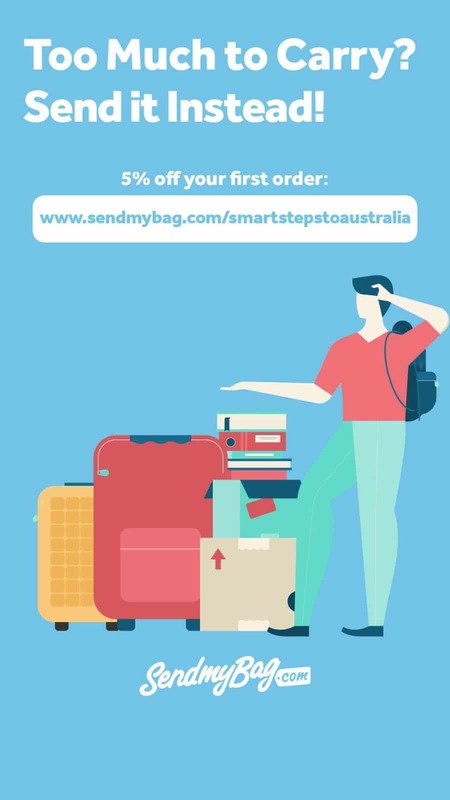 Why did you set up Smart Steps to Australia? 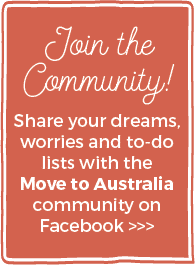 I set up this site to offer support to families who were making the move to Australia as I felt like we could have done with more support when we made the move. We were so lucky to have friends who had made the move to Brisbane before us but not everybody has that help. When you’re moving with young kids it adds a whole extra level of worry and stress to the move – Are you making the right decision about their future? Can you really take them away from their grandparents? How do you juggle doing all of the things when you’ve got toddlers in tow? How will they cope at a new school in a new country? It wasn’t so much about the visa paperwork as we had an agent to help us with that – more about the emotional support and giving people a supportive community to help get them through the challenges. Plus I wanted to offer help with the admin tasks involved as there was so much to do aside from the visa application and I couldn’t find a list that brought it all into one place!. (You can find out about the Ultimate Emigration Checklist here). 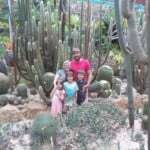 As time has gone on, readers have asked me to talk more about travel and lifestyle because they want to carry on reading the site beyond their move. Now I think the balance is just right and it feels like the site is exactly what it was always meant to be even though it has taken some time to get here! I’m so excited about relaunching the site with a new layout – I’ve spent the last few months getting the layout plans just right and reworking some of the content.